I couldn’t help but notice how trendy yellow eye makeup looks were this summer. 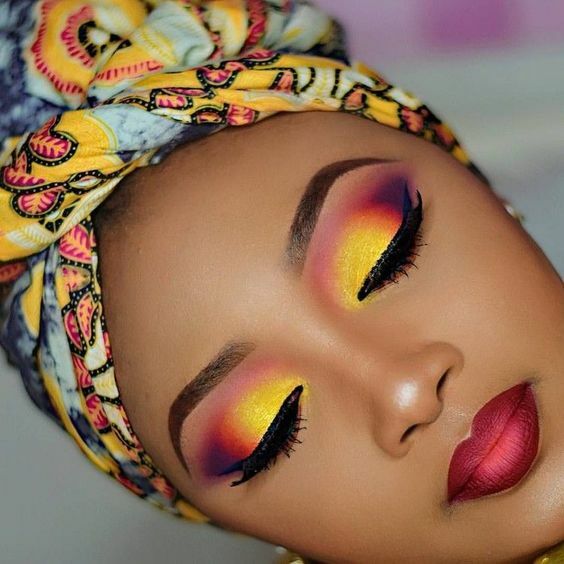 I’ve seen endless of creative makeup looks using bright yellow eyeshadow [or in some cases, eyeliner]; some beauty bloggers used it to bring life to their neutral eye makeup looks, others made it the center of attention and got super creative with it. 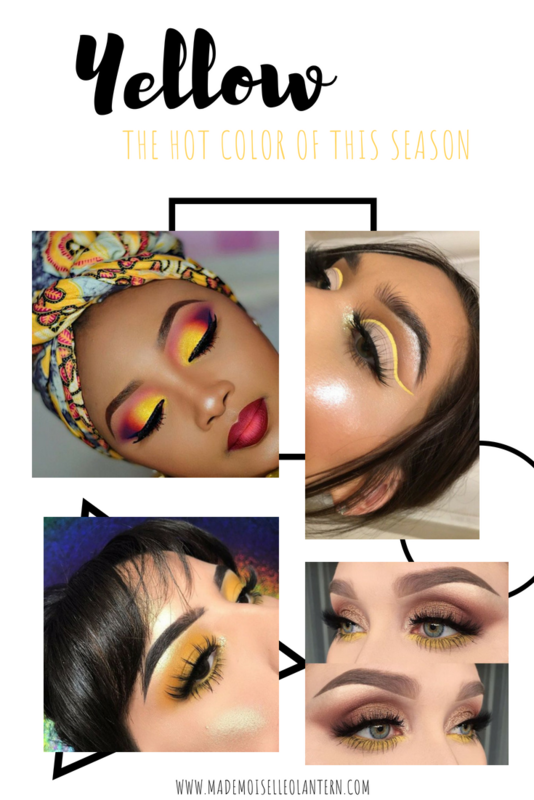 Anyhow, yellow eyeshadow/eyeliner has definitely been the hit this summer so here are some of my favorite looks and a list of brands you can get your yellow eyeshadow/eyeliner from. I want to start posting more articles about beauty trends because I think that would be very informative and useful for you guys and for me as well cause I end up doing a lot of research and that’s cool! Neutral eyes with a pop of color makes this look super fun yet chic and elegant. 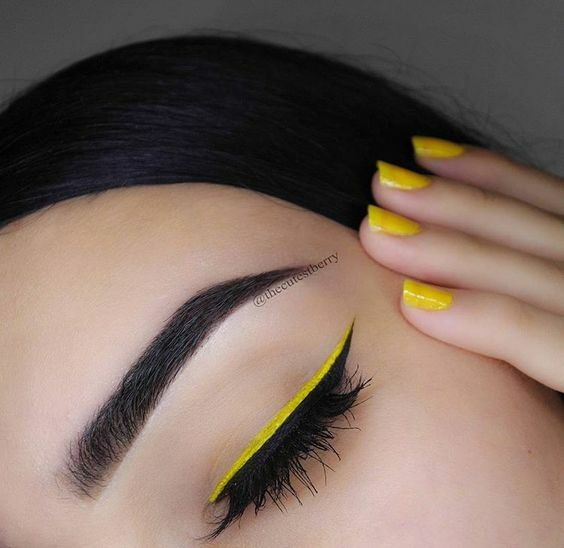 I love this look a lot it’s very simple and elegant but that yellow eyeliner makes it very original and unique! Black wing line is a classic and easy to-do but that touch of yellow makes it fun without testing your makeup skills. what do you think of this trend? 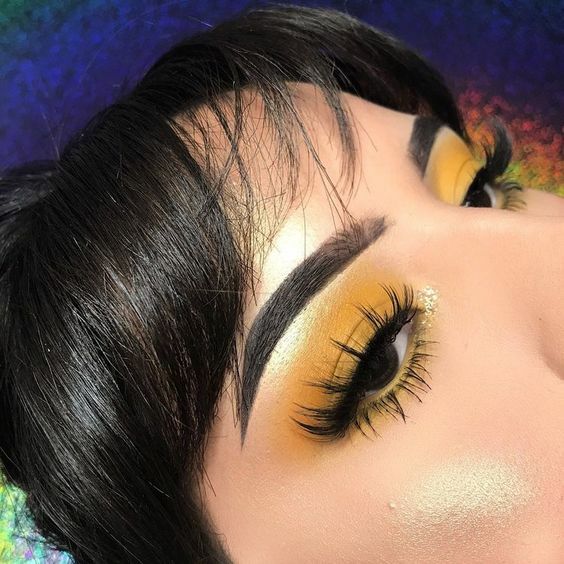 And, don’t forget to share with me all of your yellow eye makeup looks, I would love to see your creations! Thank you!! 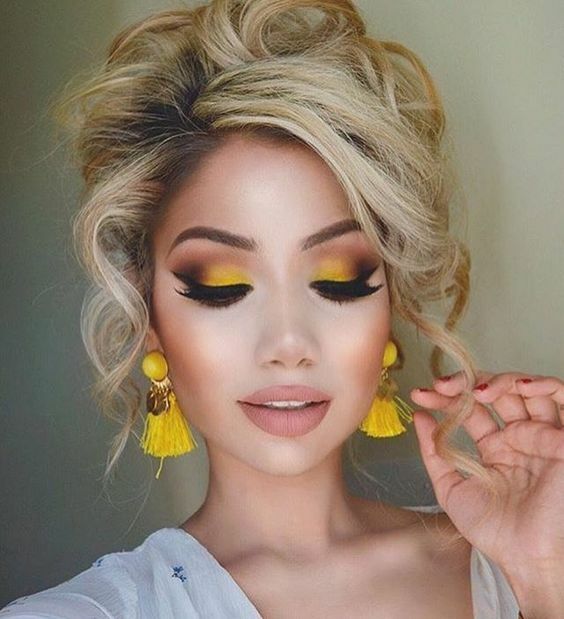 yellow is such a summery color and you can create a lot of subtle looks with it!! I don’t know if I could pull off yellow, but those ladies look absolutely AMAZING! yes my sister is blond too [and kind of pale] and yellow eyeshadow makes her look kind of sick!! Oh I would never think to wear yellow. The gal in the first photo has my fave yellow look of all of them! I’ll have to try! Those first two looks are fire!! I love them! I could really have used this post last month! I had been looking for a yellow for ages but never found a good one so I’ll definitely keep some of these in mind next time I buy make up! I love the way you included inspiration photos! I incorporate yellow into my outfits and nail color but hadn’t thought about makeup. Thanks for the inspo! Such a pretty and fun color to wear! Love the way that people make their eyes pop with yellow. 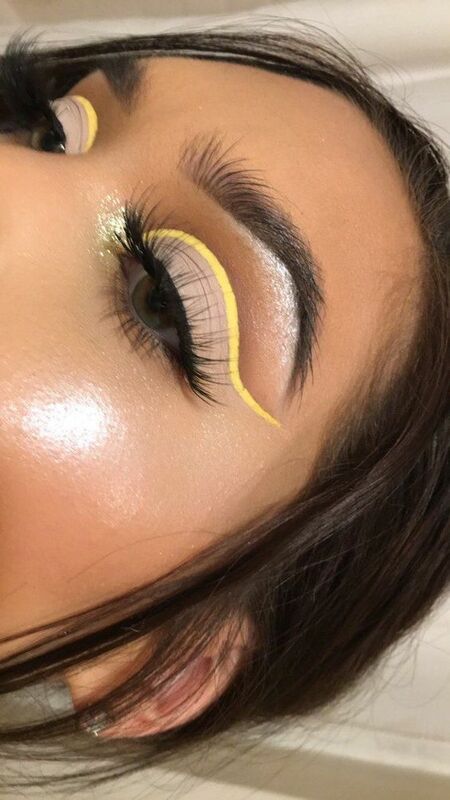 I never would have thought to do yellow with my makeup but I really love how it pops! Going to try it! 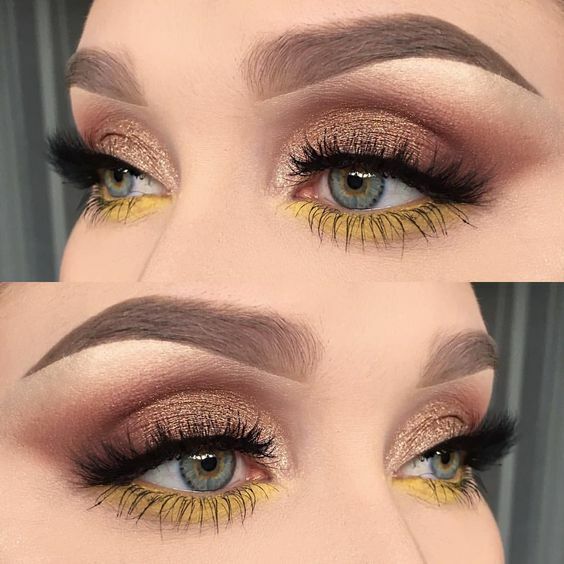 I adore the yellow with the liner and also with the bronze shadow! So beautiful! OMGosh it’s so pretty! I really wish I could do my makeup like these styles.